Python is a clear and powerful object-oriented programming language with an elegant and easy-to-read syntax. It is ideal for prototyping and ad-hoc tasks, but also sees wide use in scientific computing, web development, and automation. Our mentors are friendly, experienced Python developers who will help teach you new techniques and tricks. Python is a strong language for beginners. There are many resources available for programmers of all levels, the code is highly readable, and in many cases phrases are comparable to those in the English language. Code can be written and executed from the command line, in an interactive IPython session, or in a Jupyter (IPython) notebook. The most common form of Python is compiled in C; this is often invisible to the beginning programmer, but if there are uses for which exceptionally fast implementation is needed then C extensions can be written to optimize Python execution. Python is used extensively in scientific computing, finance, games, networking, internet development, and in assembling pipelines of other programs. Python was started by Guido van Rossum in 1989; its name is an homage to the comedy troupe Monty Python. Python 2 is used widely but support may end by 2020; it is highly recommended that beginners use Python 3 (they are similar, but users will encounter some differences). Python development is shepherded by The Python Software Foundation and there are active community-based user groups worldwide. I really like the ability to look at other people's solutions. I'm working through the F# and Python tracks at the moment. Really like the ability to look at other people's solutions. I've had some helpful comments from others too. Once you join the Python language track, you will receive support and feedback from our team of mentors. Here are the bios of a few of the mentors of this track. Python was the first language I learnt when I started programming several years ago. Since then I have used it extensively for uni projects, web, scripting, and pretty much everything else. 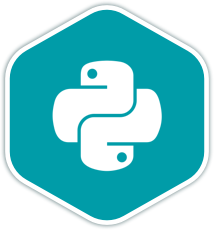 Excited to be able to help mentor new pythonistas! I've been using and enjoying Python in both hobby as well as professional projects for a few years now. Yet, I never cease to be amazed about how Python programs can be concise without being obfuscated or cryptic. Python has been, my on and off go-to language for the past 14 years. With the increasing popularity of its data science and security libraries, I feel that it is more important than ever to help people learn and improve! I do Linux administration as day job and write python mainly for my personal data science projects. I have been programming in Python for the last 7 years and teaching it to beginners for the last 4. I don't claim to know much, but I hope to be a useful person to bounce ideas off of. Thanks for reading! I use Python for my side projects - mostly on competitive programming and machine learning. I contributed to CPython project for some time. These are a few of the 117 exercises on the Python track. You can see all the exercises here. The Python Maintainers are the brains behind the Python Track. They spend their spare time creating interesting and challenging exercises that we can all learn from. We are incredibly grateful for their hard work. Here are the bios of a few of the maintainers of this track. Python fits with how I think and allows me to quickly write powerful, maintainable, and extensible code. Big fan of homemade bread and reusable code. I can not only fetch JSON, but parse it too. Get started with the Python track. As with everything on Exercism, it's 100% free!